September 22, 2014 / Modified sep 23, 2014 8:56 a.m. Authorities in northern Mexico have issued a warning about possible contamination from a copper mine that may have spilled into the San Pedro River. 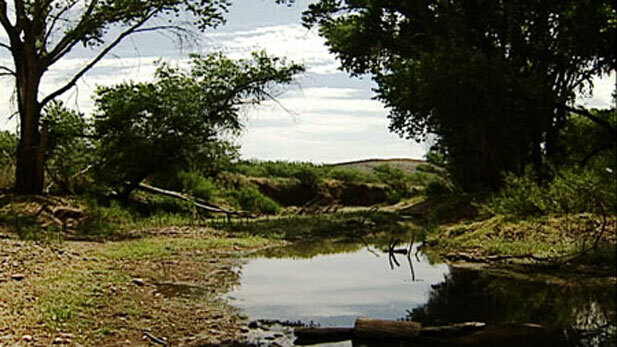 The mine owners blame the spill on flooding tied to last week's Hurricane Odile. News of the potential spill was released by Grupo Mexico, the owners of the Buena Vista del Cobre mine in the city of Cananea, Sonora. Sally Spener, who is with the International Boundary and Water Commission in El Paso, Texas, said officials from the U.S. and Mexico are investigating. "They are going to the site to do a visual inspection to try to figure what's going on and take some water quality samples as the San Pedro River moves downstream toward the United States," she said. Mike Fulton, director of the water quality division at the Arizona Department of Environmental Quality, said it is uncertain whether any of the mine contaminants entered Arizona because the San Pedro was inundated with water by remnants of Odile. "We're 32 miles north. There is a lot of flooding going on so the volumes are large," he said. "And, if the discharge from the mine is stopped, that should minimize the risk of that occurring but we're gonna know more from the sampling." Nobody is sure exactly what type of contaminants may have entered the San Pedro River in Mexico and Arizona. But, Arizona environmental groups say there has been a history of spills containing dangerous heavy metals from mines in northern Mexico before. Sergio Avila, who is with the Sky Island Alliance in Tucson, said mining mishaps aren't always reported in Mexico. Meanwhile, Mexico's Civil Patrol is warning residents, who live near the San Pedro south of the border, not to drink the water or use it for their livestock or farming operations until further notice.